The opening of the St George’s Park Football Academy heralded the beginnings of a much needed change in English football. Although it is only early days, there is a feeling of revolution in the air as the FA seem to have finally taken notice of the failings of the English football culture, coaching and mentality. The development of youth football has been a focal point of the debate and the FA has recently published its proposal to tackle the ‘backward’ culture that has dominated football at even the youngest level. After two years of research, the proposal that the FA has put forward is definitely one that will take us in the right direction. But will this be the change that the experts across football have been calling for? The ‘Player Pathway’ or the format of the game. ‘Child Centred Competition’ or the attitude to competitive football. The ‘Relative Age Effect’ or the age grouping structure. I am happy to see that the FA are looking to play small sided games across the age groups as I have detailed in the table above. However, I still feel that 7 a side should be continued up until at least the under 14 age group. This would allow for a longer and more concentrated focus on skill, technique and short passing and therefore, allow our young footballers to move out of a culture where the bigger, faster and stronger players dominate games on large pitches. The second point that was emphasised in the proposal was the move away from the ‘Win at all costs’ mentality that has dominated football at all levels of the game. This begins at youth level, where it arguably has an everlasting effect. This is one of the key aspects that needs addressing but has been long entrenched in the culture of English football. I know from my own experience that this has been the case for quite some time. As I was growing up there was always a major focus on winning and you always had to be part of the winning team. This prevailed from the ages of 11 and 12 throughout my time at secondary school up to the day I left at 18. And more importantly, I think this continues to this day. For example, I play 7 a side with my work colleague’s on a Wednesday lunch time and even though it is only a friendly kick around, I hate it when my team lose and end up being completely dissappointed. This really does cut down on the enjoyment factor of the game. The FA have called this second point Child Centred Competition. The idea here is to move away from the traditional, adult league format of football that is currently employed at the younger age groups. This clearly offers a much more flexible approach for both the children playing the game as well the people who organise it. It will allow us to move away from the pressures of an 8 month season and also increase the enjoyment and player development factors. I whole heartedly agree with this change and it’s about time that this was addressed. However, I would say that the level of competition should be varied as young players get older. It is important to emphasise the importance of winning at some stage and I think the under 15 and under 16 age groups would be the best place to introduce a more competitive environment. The final area that has been identified by the FA was what they term as the ‘Relative Age Effect’. This is the one that stands out as a little strange in my opinion, what the FA are seeking to do here is to change the age group bands. So, outside of school, the football age groups will be divided up by calendar year rather than academic year as is the current process. This will then change the name of the group to, for example, Under 7’s to 2007’s. The research conducted by the FA found that there was much more players born between September and December in their school, club and/or academy football teams. This was a stark contarst to the summer born youngsters who were much more at risk from not entering or dropping out of the game. So, the philosophy here is to reverse this trend and thus increase participation levels but also to reduce the emphasis that is currently placed on the stronger, faster and more physically developed players. However, I am not sure that this will have a great effect on the game. I think the second point is valid, in that it may help move away from reliance on the ‘earlier developers.’ However, young players tend to grow up with their school friends playing football both in and outside of school, developing a team spirit and understanding with their peers along the way. I think this change may have a detrimental effect on the overall development of youth football by interrupting this natural phase of growing up. To conclude, I think the FA have proposed a strong plan for the development of youth football in England. The whole plan seeks to develop a much better infrastructure and a base for young players to develop their skills and abilities, and therefore will contribute to a better selection of players at the elite level. However, there still a few things that need some fine tuning, such as the format of small sided games through to the older age groups i.e. playing smaller sided games for longer. All in all it is a refreshing strategy that has been proposed and another large step in the right direction for the FA and English football. To put an answer to my original question, will this be the change that the experts across football have been calling for? Yes, I think it will be, but at the minute it is all just a good looking plan on paper. 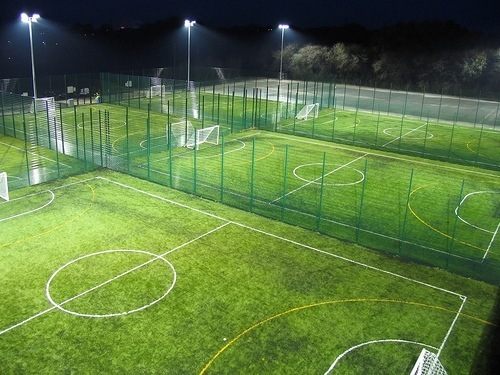 As well as the issues I have mentioned above there are resource and operational issues which local authorities will need to consider; providing pitches of various sizes will cost time, money & resources which could be spent elsewhere. This is where local soccer centres can really help facilitate the change but there are not enough of these around and in the current economic climate are usually quite expensive to use. In reality though, we can only wait and see, the implementation period is set for the next three years (which is probably too short a period) up to 2015 and I am hoping that the FA follows through with this strategy providing the necessary financial, logistical and administrative support. ← Can St George’s Park really change English football?